All 336 of Iowa’s schools district have been approved or have applied to join into the program that puts experienced teachers in the role of guiding the less experienced educators. Department of Education director Ryan Wise, says its the second year of the program. There are 115 school districts are in the process of implementing what’s known as the Teacher Leadership and Compensation System (TLCS) , with the others now preparing to do so after getting their plans approved. “There’s a 20-member commission on Teacher Leadership and Compensation the represents teachers, administrators, the school boards, the teachers association, folks from all over the education community in Iowa that review the plans,” Wise says. “The plans have 10 parts to them and the commission members score each part of them in teams of two.” Each of the plans must meet five base criteria, with the first being that every teacher has a salary of at least $33,500. 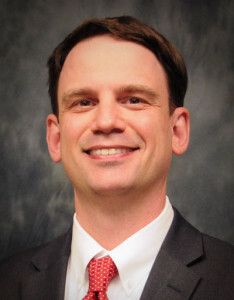 “Improving entry for new teachers — so giving them more and better opportunities to learn and collaborate early in their careers — creating multiple leadership roles for at least 25 percent of the teaching staff, having a rigorous selection process for choosing their teacher leaders, and then aligning their professional development given the opportunity to lead professional learning,” Wise says. He says finding the multiple leadership roles for at least 25 percent of the teaching staff is probably the toughest criteria to meet. “That’s a significant number and it was designed intentionally — because we believe that that’s a critical mass to really spark some change and improvement in teaching and learning,” Wise explains. The size of the district can make it tough to institute. “For some districts it can be challenging to get a least a quarter of their teachers to say ‘yep, I want to do this I have a vision for it.’ In some places that’s been easy, they’ve had far more applicants than positions available. For others it’s something that they need to build over time,” Wise says. He says some districts have found they have to shift some funds to salaries to meet the minimum requirement for the program. “A significant majority of districts in Iowa are already above that $33,500 minimum requirement. But for some small districts, rural districts, there are funds that they have to use for that first,” Wise says. The TLCS is designed to improve the quality of teaching in schools and Wise says parents should take note of what their schools are doing. He says parent should ask questions of teachers to see if they are getting more opportunities to collaborate and learn. “Our premise is that it spreads out great teaching, so we’ll have more teachers in more classrooms working together,” Wise says. Wise has more than one reason to have interest in this program. He has two children in school and he worked on putting the program together at the Education Department before he stepped up to become its top leader. “You know, that’s why I moved to Iowa, because I was passionate about teacher leadership and believed this was a great direction for an entire state to have,”according to Wise. It’s been exciting to see this develop over three years and to be on the verge of every single district in Iowa having a plan is really exciting,” The program gives each district roughly 312 dollars for each student to be used to implement the TLCS. The entire system will cost $150 million annually once all of the districts have their leadership plans in place. For more information on the teacher leadership system, visit the Department of Education website.